What happens when the mission of a business is community over wealth, when the people who come through the doors are what matter the most to the people who own the establishment? 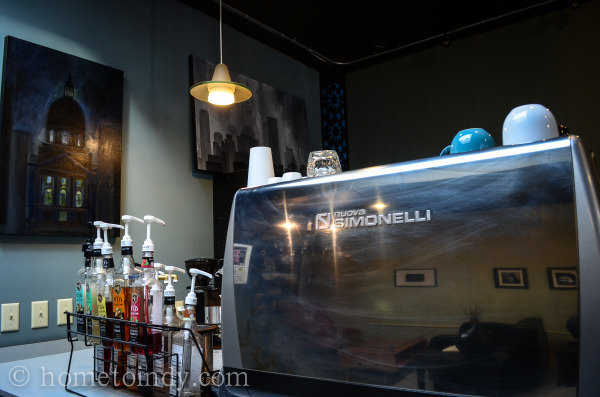 What happens is that an unassuming little coffee shop becomes the cornerstone of community in it’s neighborhood, a flagship for what is good; good art, good deeds, good relationships, good coffee. Well, actually, great coffee. This unassuming little coffee shop, founded for the sake of community wins acclaim, the loyalty of it’s people, grows so quickly it has to move to a larger location within two years and is now poised to stretch the boundaries of it’s impact far and wide. I’ve been a regular of Calvin Fletcher’s Coffee Company for over three years now and have watched the arc of this true story. 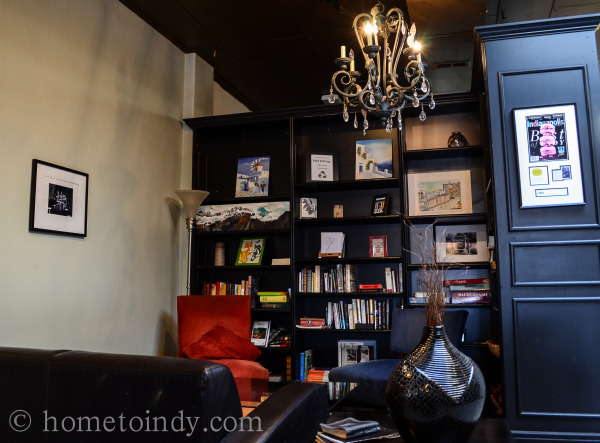 What started as the satisfying conclusion to my search for the best cup of coffee in the city, blossomed into a fascination with what I consider to be one of the most admirable ventures I’ve ever encountered. The coffee alone is reason enough to go, but the reason for the coffee is why you’ll want to stay and become part of the community there. It’s why you’ll come back over and over, and it’s why you’ll root for the little white shop owned and run by a father and son team on Virginia Avenue. Lest the coffee go unremarked in the shadow of the bigger picture, I do steadfastly maintain that it is the best cup I’ve had in the city, and I’ve had coffee in places where the credibility of coffee is well established. Their lattes are smooth and rich and their foam is like some caramel marshmallow fantasy. I once asked what the secret was, to that sweet foam flavor and Jeff told me that it has to do with not scalding the milk, a technique for getting the temperature just right. A technique which I suspect involves magic. Mostly, what wins me...what has won an entire community of devotees, is the people behind the counter and the culture they’ve created. I asked owner Doug Litsey about the impetus of the coffee shop in 2008, about their main hopes when it was all just seed of an idea. Without hesitation and with great conviction he replied "“We wanted a place for community and absolutely everyone is a part of this. Everyone that comes in, we throw our arms, figuratively, around them”. “neither one of us had ever drunk a full cup of coffee in our life, in fact my wife pretends to not drink it, still. But I’ve come to really like it. What we wanted was a place where we could just love people”. 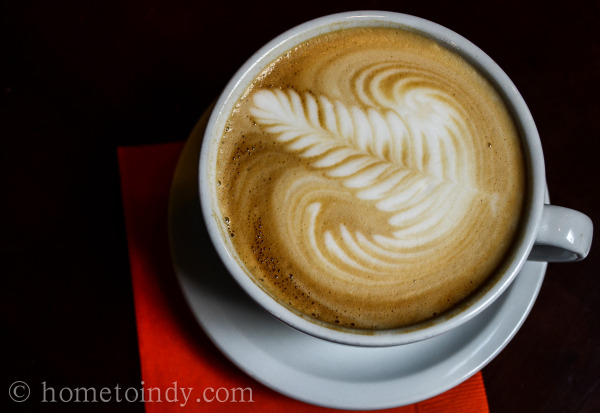 Despite their initial unfamiliarity with coffee, Doug tells me that the way his son Jeff took to the art of good coffee was the way Jeff takes to any art - instinctively and with great talent. And here is the proof in the pudding that this coffee shop is genuinely about the betterment of others; Calvin Fletcher’s Coffee Company is run as a non-profit. Instead of building a coffee empire (which I’m not convinced they won’t accidentally do, anyway) they have stayed true to their bigger picture of creating partnerships and friendships with people in the neighborhood, the city and according to the vision they’ve been working on, hopefully soon with partners around the world. He shares that they are planning to purchase their own roasting equipment, installing it and an observation window here in the shop. They then want to form relationships with farmers in Central and South America, with a goal of being hands on in developing those farmers and the villages they live in. Doug shares about his hopes for trips to visit the farmers and for them to visit the coffee shop. 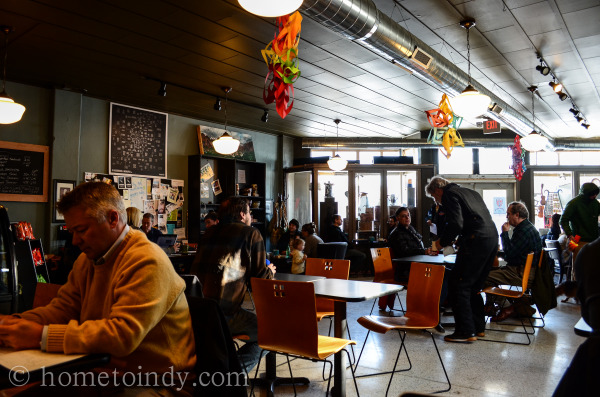 Additionally, they are planning to continue their long-standing tradition of giving the money they make in tips to other local non-profits, some of whom have already included Exodus Refugees, Keep Indianapolis Beautiful, Trusted Mentors and Second Helpings. All of these things are part of what’s next for them, what they’re looking ahead to, after they do some fundraising for what is to come. Taken together, all of this ends up meaning that when you put your money into a cup of coffee from Calvin Fletchers Coffee Company, the money isn’t simply going into a pocket, it’s going into a community, a future and into the betterment of others. This reinforces my determination to drink at least 5 cups a day. How not? 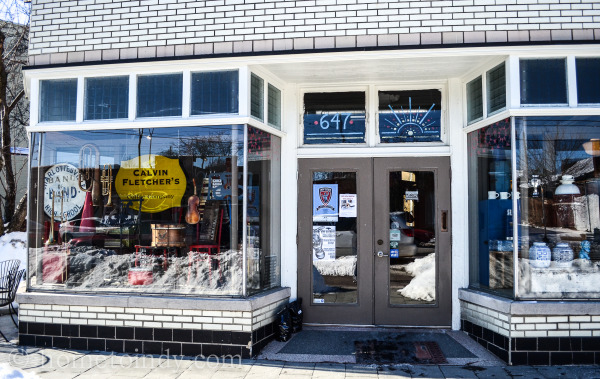 Calvin Fletcher's Coffee Company is located at 615 Virginia Avenue in Historic Fletcher Place.